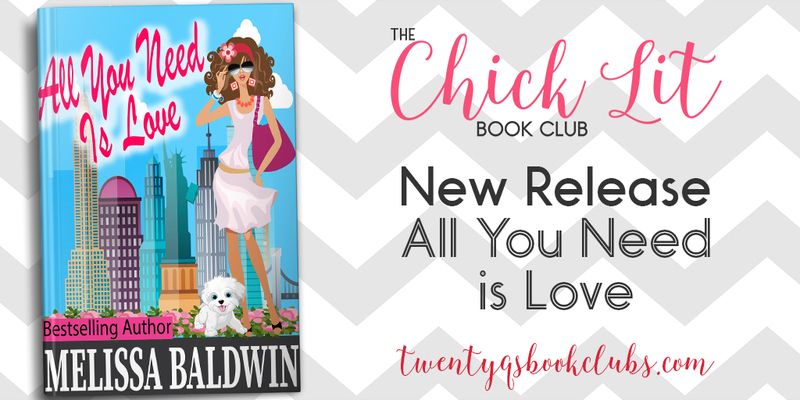 Happy Release Day to Melissa Baldwin! 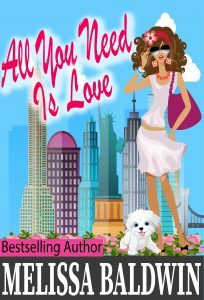 Her new romantic comedy, ALL YOU NEED IS LOVE, is out now! “Were your ears burning?” I ask. I’m completely shocked when I receive a call from Doug not long after discussing him at dinner with Zoe. I laugh louder than I expected. He is a good kisser, but I’m certainly not going to feed his already enormous ego. I give Muffy a few of her new gourmet dog treats which cost a small fortune, but supposedly are the best for teeth and gums. “Um, no, sorry,” I say. I can’t decide if he’s being serious or not. “No you didn’t!” I shout. He knows I’m not going to ask Gavin. 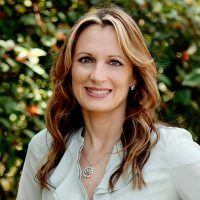 I will, however, ask Stacy to ask Gavin for me. Wait. He what? Did I just hallucinate or dream the last few seconds of our conversation? Maybe I’m still feeling the lasting emotional effects of the phone call with my mother? My mind is spinning right now. First it was a trip to the Bahamas and now New York City. Is it normal to be taking trips with a friend who also happens to be an attractive, successful, single man? I had almost forgotten that I’d told Doug about my business. Somehow we got on the subject of it the night we met in Florida, and he seemed really interested in hearing about it. I didn’t read anything into it at the time, but it kind of makes sense now. I smile to myself. Who could say no to a trip to New York City? This could be huge for my career, and I will be able to see Olivia while I’m there. I would be crazy to pass this up.